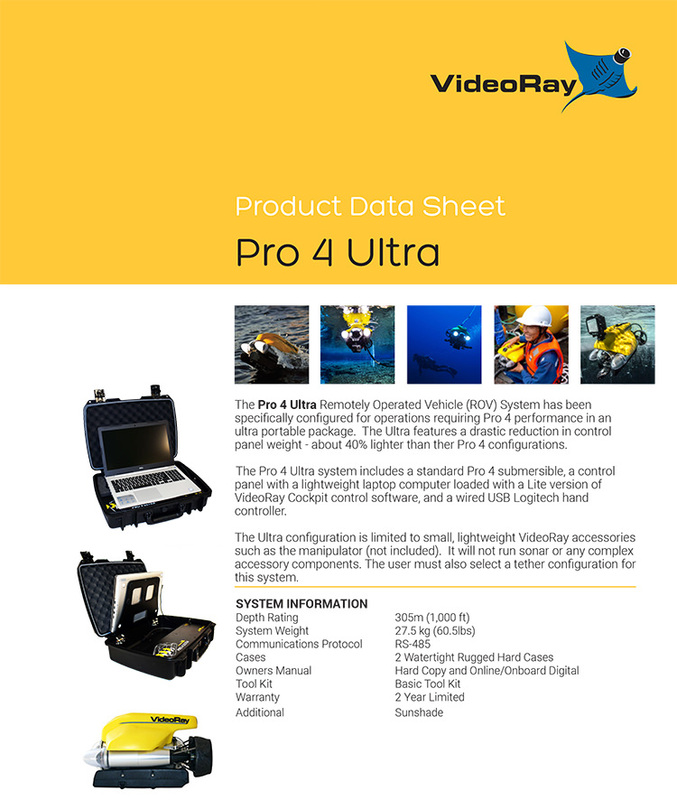 The Pro 4 Ultra ROV system is a simpler, lighter version of our standard Pro 4 ROV system. The extremely portable Pro 4 Ultra control panel is about 40% lighter than the standard Pro 4 Control Panel weighing in at 8.4 kg (18.5 lbs). 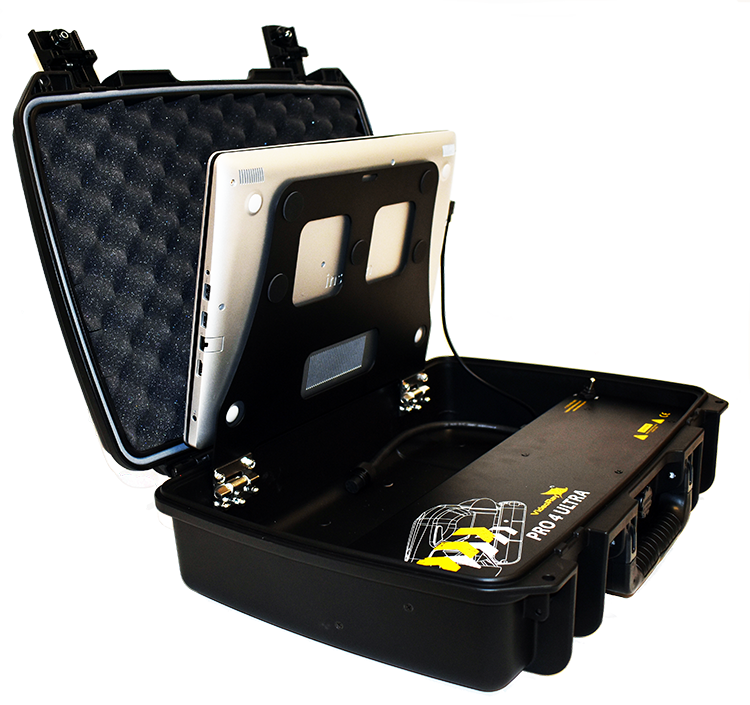 The Ultra system is the perfect solution for users who only need the most basic functionality of an ROV. The Ultra is perfectly suited for routine tasks – such as basic visual inspections or observations in normal environments down to 305 m (1,000 ft). A sleek Dell laptop with a lite version of VideoRay Cockpit Software controls the ROV and displays the video feed. The included sunshade enhances screen visibility in bright environments. The Ultra system also comes with a Logitech® wired USB hand controller, Pro 4 user manual, custom packaging, and a Pro 4 Basic Tool Kit. The Ultra Panel contains only the essential hardware for basic operations. It packs a slightly lesser punch, with a maximum voltage of 48 volts (compared to the standard Pro 4 ICB’s 75 volts). This reduces the Ultra system’s maximum thrust to 21 lbs total and a speed of approximately 4 knots on the surface. The Pro 4 Auto Heading software feature is also disabled in the Ultra BASE ROV system. If you require vehicle Auto Heading, consider moving up to the Pro 4 Standard BASE ROV system. The VideoRay PRO 4 Ultra BASE ROV submersible as delivered. The submersible weight with full ballast is around 6 kgs (13 lbs).